7 tips for making meaningful relationships with doctors. 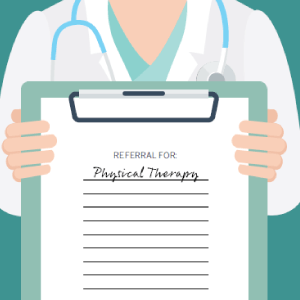 Ask a new physical therapist to reach out to a local doctor and introduce themselves and you’ll likely get a panicked response: What should I say? What if they ask a question I don’t know the answer to? What if they’re busy and annoyed that I’ve called? Shouldn’t I be focusing my time on my own patients instead of talking to other clinicians? 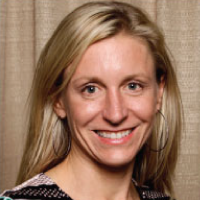 It’s tough for new—and even seasoned—physical therapists to know why it’s so important to start relationships with local doctors. Many physical therapists are busy and don’t want to feel like salespeople, and cultivating relationships with doctors feels like an “evil” that isn’t really necessary. But it is necessary and not an “evil” at all. Though many patients have direct access to physical therapy, many more have insurance plans that require referrals from a doctor. Doctors want to choose a physical therapist who is located close to their patient and who they’ve heard does great work. Cultivating a professional relationship with a doctor can help build trust, adding to any word-of-mouth or marketing strategies you’re using to get the word out about your services. When you build relationships with doctors, you can show them why they should trust putting their patients in your care, and you can gain an ongoing stream of new patients. 3. DO YOUR HOMEWORK. Before you introduce yourself, try to read up on the physician. Read their online bio, if they have one, and ask your patients about them if you can. Knowing more about the physician, from their professional to their personal lives, can help you remember that they’re also just a normal person. This can help calm any nerves. 4. RELAX. Before picking up the phone or stepping into an unfamiliar office, take a few deep breaths, stand tall, and think positive thoughts. Just a few moments spent focusing on your intent, your breath, and your body language will have a dramatic effect on how you present yourself. 5. COLD CALLS ARE STRESSFUL! Find a reason to call or visit a physician. Maybe you’re hand delivering a plan of care from a recently referred patient or you’re calling a physician’s office to discuss clinical concerns about a shared patient. Use these opportunities to begin a relationship that you can build on. 6. LOOK PROFESSIONAL. First impressions count. Presenting yourself professionally will change the way you act and how people respond to you. Look professional if you’re going into other doctors’ offices. 7. KEEP IT UP. Make an effort to make friends with and really get to know and develop relationships with referral sources you’ve made. The relationship shouldn’t stall once the physician starts sending you patients! That’s just the beginning. Invite the person to a community, a fundraiser event, a chamber of commerce meeting, or even out to coffee to talk about health care. As your practice grows, you can keep working on strengthening and growing relationships with doctors in the community, growing your referral stream and your standing in the community. Developing professional relationships with referral sources is integral to a practice’s sustainable growth, so pick up that phone and start calling!